Have you ever noticed how some flowers turn their blooms toward the sun? I wonder how many times I have gone to a window in my home and turned a plant around, because it’s blooms and stems were leaning toward the light. We need to look to God. We need to turn our hearts toward Him. If we seek Him with all of our heart, we will find Him. 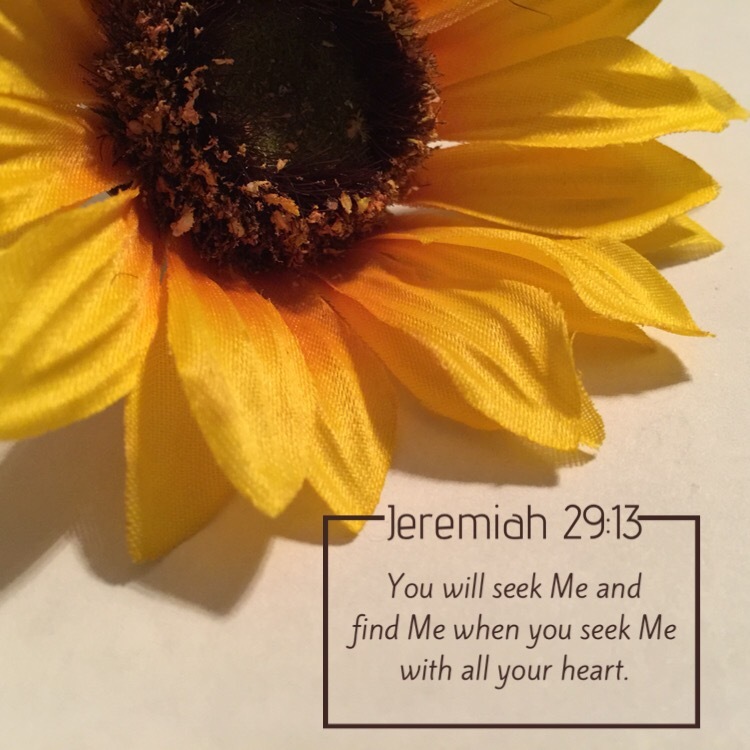 This entry was posted in Bible verses on photos, flower photography, Inspirational photography and tagged flowers, light.